The first California lodge of the Free and Accepted Masons was chartered in San Francisco on November 9, 1848 (see California Historical Landmark 408). The Freemasons met in several locations in San Francisco for sixty years before hiring fellow Masons Walter Danforth Bliss and William Baker Faville to design this splendid Renaissance Revival building modeled on a Florentine palazzo. 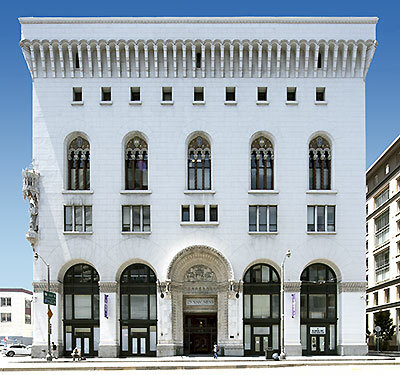 In 1958 the Freemasons moved to their present grand temple on Nob Hill.